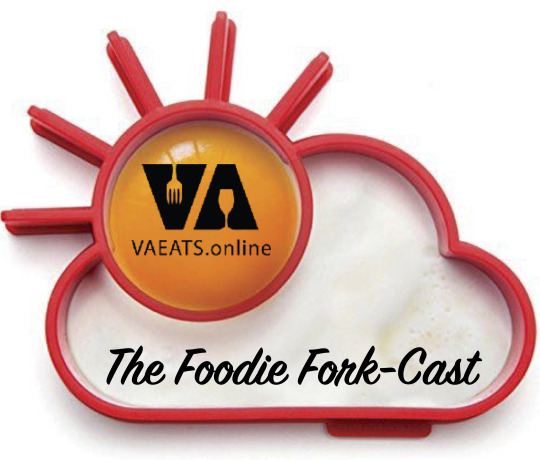 It’s weather, it’s food, it’s your Foodie Fork-cast! Each week WVEC TV-13’s marvelous meteorologist Tim Pandajis joins us with his outlook ahead and we perfectly pair an eat or a drink for whatever Mother Nature has in store. It’s a much different story playing out behind our second accumulating snow of the season. If you remember just a few weeks ago the Blizzard of 2018 dropped nearly a foot of snow in spots and what made it unusual is it stuck around! A deep freeze dove in behind the storm and kept us in the freezer. This time around we are in for a warm-up. The trend is for unseasonably warm temperatures to build into the region right through early next week with temperatures running in the 60s, more than 15 degrees above average for this time of the year. Climatologically, we are in the “coldest” part of the year when we typically see the lowest daytime highs. It’s only up from here! Tim is a Certified Broadcast Meteorologist and fervent foodie. Let’s warm up to the coldest time of the year with a Virginia-ized version of Irish coffee. Our Agrr-ish Coffee is named for the strong historic connections between Virginia and the Caribbean – especially trade in molasses and rum, and the pervasiveness of pirates in Virginia waters in the 17th and 18th century. Here we use a local rum from Dead Reckoning Distillery in our java and top with rum-infused whipped cream. First make the whipped cream: chill a medium metal bowl and metal whisk a few hours before making the whipped cream. In the bowl pour 1 cup heavy whipped cream along with 1/3 cup confectioners sugar and 2 teaspoons rum. Whisk vigorously until soft peaks form, about 5 minutes. Cover and refrigerate until ready for use; use soon. Next make the coffee: in a glass coffee mug, add 1 heaping teaspoon of brown sugar and pour in 2 ounces of Virginia rum (or a Virginia whiskey) and stir. Fill the mug with coffee and top with whipped cream and a sprinkle of freshly ground nutmeg and serve.